Not that we need our sprinkler systems to water our lawns now with the onset of our summer rains, but as of June 9th Cape Coral has lifted the one day per week watering restriction. The area went from one of the worst drought conditions it has ever experienced, to an abundance of rain. Cape Coral was certainly not alone in the dryness department. At the worst point, 70% of Florida was encountering serious drought conditions. Before the rainy season began the city had been forced to pump water from Charlotte County's Southwest Aggregates reservoir. Cape Coral's freshwater canals had dwindled to precariously low levels and were no longer a source for irrigation water. Thanks to Mother Nature supplying all the rainwater we need, the freshwater canals are now replenished and the pumping from Charlotte County has ceased. I'm grateful to have my nice, lush green lawn back. Are you looking for a home in Cape Coral? 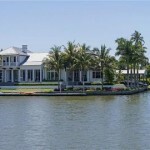 How about a waterfront home in Cape Coral? Or, are you looking for a home in another town in Southwest Florida? We can help you with your house hunting search. 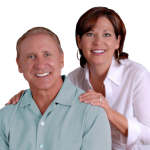 We have years and years of experience helping people find their dream homes down here. Cape Coral is a beautiful and safe place to live. To get started on your search today, click here to view home or call us at 239-357-6118.